Say wizard to a Sonic fan, though, and you’ll get an entirely different answer. Gus Williams, to a Seattleite, was and is The Wizard. And with good reason; while fans raised in the past dozen or so years might be oblivious to Williams’ greatness, those of us who feasted on that magical late-70s run of delicious playoff victories know better. More than anything I remember from growing up outside of Seattle, I remember Gus’ shoelaces, or the way he tied them. 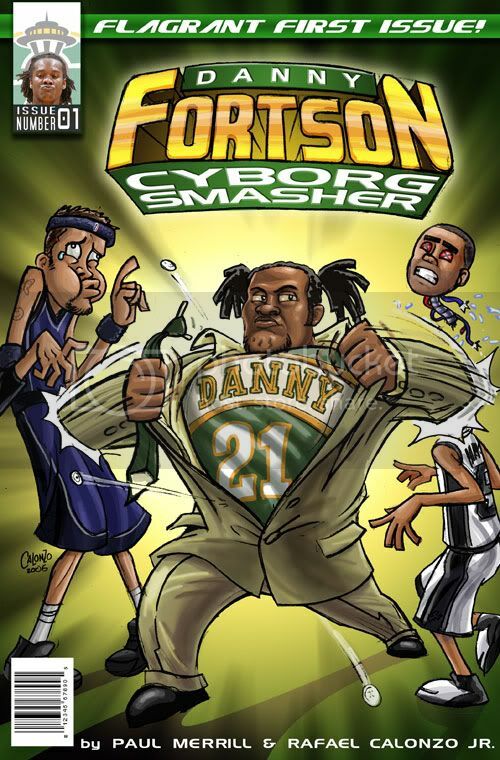 To the rest of the country it’s a trivial bit of NBA history, but to those who grew up with the green and gold, it was an initiation rite. Williams tied his laces behind his ankles, a leftover from a period when his laces were too long. 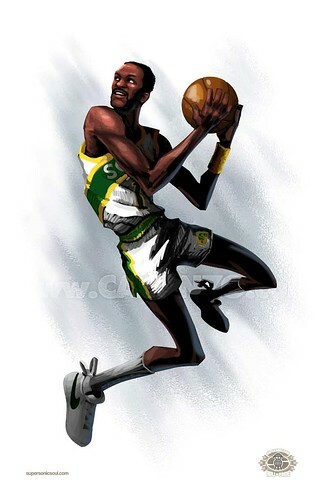 Since the habit started during the Sonics’ run to the NBA Finals, he was reluctant to break it, and before you knew it, every adolescent boy in greater Seattle was copying him. The loyalty to Gus came from his on-court greatness, though. Williams was playoff-great, posting nearly half of the ten best post-season scoring games in team history and nearly half of the best assist totals. As further, evidence, consider that in the two consecutive years that the Sonics played in the NBA Finals, they played a total of 39 games. Gus Williams led them in scoring 19 times. Even more, in the NBA Finals against the Bullets Williams led the team in scoring in all five games, averaging 28.6 points, a remarkable display of his abilities in the ultimate proving grounds. Even more remarkable was the fact Williams did all that without the benefit of a 3-point line. In his 477 regular-season games in a Sonic jersey, Williams made the grand total of 22 three-pointers. That’s right, 22. In fact, in 1981-82, Williams managed to hit 2 of 43 from beyond the arc. 2 of 43! Heck, Olden Polynice could have done that, right? Well, the NBA was a different league back then. Even Fred Brown, certainly the most renowned long ball shooter in Seattle history, topped out at 39 3’s made in a season, or a good week and a half for Ray Allen. But I’ve been sidetracked. Gus, DJ, Downtown – they are the touchstone for a generation of Sonic fans. 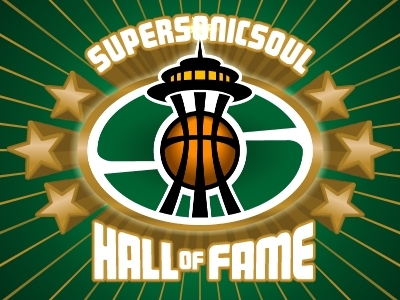 I must have played a million make-believe games on the basketball court in front of my house, nearly all of them as the Sonics, especially the late-seventies Sonics. And nearly all of those games came down to the same situation – Sonics down by one, seven seconds left, Gus Williams with the ball. Inevitably, he’d sink the winning shot (or, be fouled; the referees were kind to the Sonics in my make-believe world). I’m not sure why the Wizard became the most imitated player at my house; Dennis Johnson was a better all-around player, Jack Sikma was an all-star center, Fred Brown was a wonderful outside shooter. But he was. Maybe it was the shoelaces. That 3-point number is amazing ---- I had no idea Williams was so bad at shooting the 3. Makes you wonder if he'd even make it in the league today with that kind of shooting. Of course, you'd assume he'd learn how to do it with practice, but still. Nice piece, guys. Looking forward to reading about DJ and Sikma. With 4 on the boards already, I'm guessing you've still got Haywood, Nate, Ellis, Ray, ???? I'm guessing you've still got Haywood, Nate, Ellis, Ray, ???? Ah, that would be telling, my friend.